I too have a collection of old books and love looking through them from time to time. Marvelous. I love old books...the smell so good and musty. 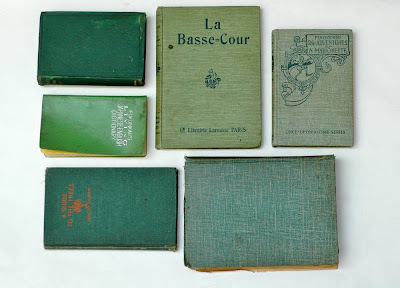 vintage books are my FAVE..love the green covers too!